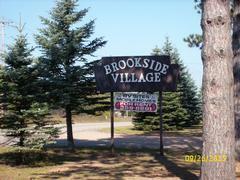 Brookside offers rates to fit your needs. If you are looking for a great place to park your RV or 5th Wheel while going through central Wisconsin, we are the place. All of our lots offer full hook-ups, which include city sewer/water and electricity - 50amp, 30amp, and 20amp service. To picture yourself in this beautiful landscape, look through the pictures on our website. We tailor to snowbirds and even have a few year-round lots with utilities for that hardy Wisconsin Person.